. . . Our new and improved website is launching soon. Until then, WELCOME! PAWS Houston is dedicated to helping patients receive the comfort and benefits of their pets by facilitating hospital visits to patients. We are a volunteer-driven 501(c) not-for-profit corporation with approved patient pet visitation agreements with every major hospital in Houston, including Methodist Hospital, Texas Children's Hospital, St. Luke's Hospital, Memorial Hermann and MD Anderson. 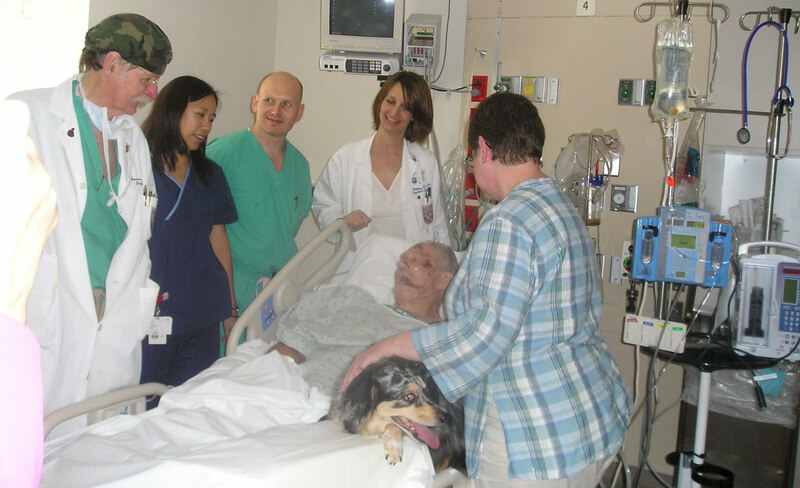 All “Hospital Personal Pet” visits are facilitated through our dedicated volunteer network. These volunteers work tirelessly to provide scheduled visits, as well as last minute, end of life visits. The Hospital Pet Visitation program is a unique program provided by PAWS Houston. Operations are made possible by the donations of patients, family and, community supporters. 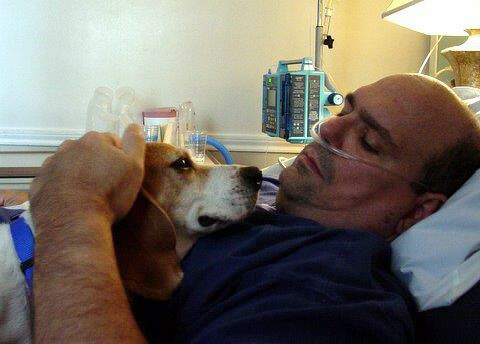 To schedule a Hospital Pet Visitation for a patient, please call our hotline at 713-840-PAWS (7297). Contact and interaction increases relaxation and reduces anxiety. Pet owners experience significant reduction in minor health problems. Pet owners have significant improvement in their psychological well being. Elderly have increased exercise and mobility routine. Pet owners have lower blood pressure, triglyceride and cholesterol levels. Pet ownership was associated with better perceived control of illness and treatment. Pet ownership provides pet owner a coping mechanism for disfigurement as a result of the disease. Pet ownership promotes the enrichment of human lives through a caring partnership with their companion pet. To volunteer, please email your contact information to pawshouston@gmail.com and our volunteer coordinator will contact you. Give in honor of, or in memory of a loved one one our donation page. Ask your employer if they match employee donations. To find out more about our current needs, watch our video here. 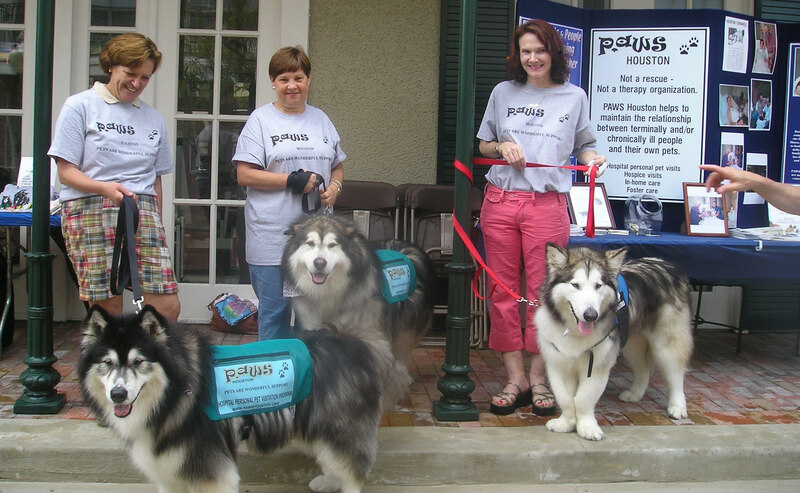 The mission of PAWS Houston is to help sustain relationships between pet owners and their pets through a period of the owner's terminal and/or chronic illness. PAWS Houston arranges and facilitates personal pet visits to the hospital, hospice, nursing home and rehabilitation centers to improve physical and mental health for the pet owner. PAWS Houston participates in research to support that the human-animal bond is beneficial.